The Most Excellent Master, or Sixth Degree in the American York Rite, celebrates the Completion of King Solomon's Temple. Four things are set in place in this degree. The cap-stone is placed into one of the principal arches of the Temple, completing the building. The ark is safely seated within the Holy of Holies, and, after King Solomon offers the dedicatory prayer, fire descends upon the Altar of Sacrifice and the Shekhinah also appears. The lecture of the degree talks to us specifically about building our own inner or spiritual Temple, and draws our attention back to the progress we have made in the preceeding degrees. Let us review the various Degrees and observe how the Altar of Freemasonry represents the various Altars of King Solomon's Temple as we progress through the degrees. 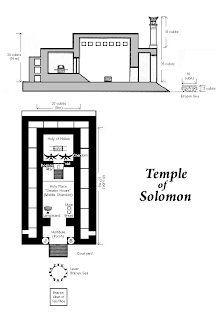 We are taught that Entered Apprentice Masons hold their meetings on the ground floor of King Solomon's Temple. The ground floor is the Courtyard, where the Altar of Sacrifice is located. It was upon this Altar that the Sacred Fire from Heaven descended and consumed the Sacrifice at the dedication of Solomon's Temple. Once burning, the Fire from the Altar of Sacrifice is never extinguished. It is carried into the Holy Place and used to light the Lampstand and its coals are used to kindle the Incense Altar, and is carried by the priests in censers whenever the Tabernacle must be moved. 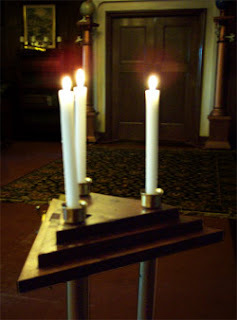 It is the manifest presence of that Eternal Flame which never goes out, the Aur Ein Sof (Light Without End) of the Kabbalists, universally depicted over the Master's Chair in Freemasonry as the letter G.
Fellow Craft Masons hold their meetings in the Middle Chamber of King Solomon's Temple. In the Middle Chamber we find the Incense Altar, where incense burns both day and night before the veil, and prayers ascend like smoke up over the veil into the Sanctum Sanctorum or Holy of Holies. We also find the Seven-branched Lampstand here, and the Table of Shew-bread which are symbolized by the Wages of a Fellowcraft Masons, corn(wheat), wine and oil, and which, in the Temple, provided sustenance for the priests. Master Masons hold their meetings in the Sanctum Sanctorum, or Holy of Holies. Here we find an "Altar" called the Ark of the Covenant, which is a small chest or coffer, made of Acacia wood, and overlaid inside and outside with gold, into which were placed the tablets of the Law (both the broken and the unbroken sets), a pot of Manna, and Aaron's Rod which budded and blossomed with almonds. A copy of the Torah was also kept within the Holy of Holies, next to or possibly upon the Ark. 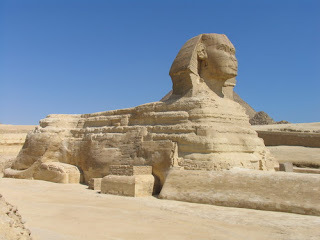 The Jewish High Priest, standing before this Ark, or Altar, would offer prayer for his own sins and the sins of his people, and this was also where, according to Masonic legend, Hiram Abiff offered his prayers each day during the building of the Temple. Upon the lid of the Ark (called the Mercy Seat) rested two additional Cherubim, made of the same piece of beaten gold as the Mercy Seat, facing inward, with their wings covering over and supporting the Ark. 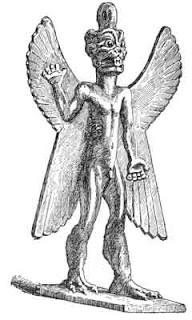 The Holy Writings describe the Cherubim as having four faces, those of a Lion, an Ox, a Man and an Eagle, with one face towards each direction. These same creatures were also depicted on the standards of the four principal tribes of Israel, as described in the Royal Arch, or Seventh Degree, and when the Israelites were traveling in the wilderness for forty years, in their Encampment, it was these very same four tribes, Judah, Ephraim, Rueben, and Dan, who respectively camped directly to the East, West, South, and North of the Tabernacle. Through a study of the Volume of Sacred Law, particularly Leviticus chapter 16, and also of the Talmud, we may learn a great deal about the ceremonies in which the High Priest engaged. He would enter the Holy of Holies on only one day of the year, Yom Kippur, and upon entering, he would pass beneath the Wings of the Cherubim. The Cherubim referred to are the large ones which stretched from one wall of this chamber to the other, touching the tips of their wings together in the midst of the room, as described in the Royal Master, or Eighth Degree. After entering, the High Priest would place a golden censer filled with coals and incense upon the floor before the Ark of the Covenant, and retreat outside the room, where he would offer a prayer before the vail with hands uplifted before YHWH. It was on this occasion, during this prayer, that he was permitted to speak aloud the Great and Sacred Name of Deity, and upon offering this prayer, the Shekhinah or Divine Presence would descend and rest above the Mercy Seat of the Ark of the Covenant. He would then re-enter the Holy of Holies, and indirectly behold the Shekhinah through the hazy cloud of smoke which had emanated from the his Golden Censer and filled the room. This smoke was so thick that he was required to use his hands to block the smoke from entering his nostrils. As also described in the Royal Master degree, as well as in the Sacred Writings, the Bath-Kol (Literally, "Daughter of Voice," in Hebrew), or Voice of God Unseen issued forth from between the wings of the Cherubim and was heard by the High Priest. You've probably heard the analogy that our body is a Temple, a house for the Spirit of God to dwell in, or that we are to construct "a spiritual building, pure and spotless, fit for the habitation of him who dwelleth only with the good." What follows is speculative, and is intended to stimulate your own thoughts on this subject: I want to compare the events of the Most Excellent Master degree to both the physical and spiritual aspects of the human body and see if the completion of the Temple can be represented there in the same manner. I will begin by suggesting that our Heart (or possibly, our Heart and Stomach) represents the Altar of Sacrifice. Physically, the heart is the center of our body's blood system, and blood is the primary ritual element of the sacrifices which were performed in the Temple. The blood from the sacrificial animals was placed upon the horns of the Altar of Sacrifice, and was also carried into the Holy Place and placed upon the horns of the Incense Altar. Scriptures frequently relate Fire to the heart. Psalm 39:3, for example, reads "My heart was hot within me, while I was musing the fire burned: then spake I with my tongue." Jeremiah 20:8-9 reads "For since I spake, I cried out, I cried violence and spoil; because the word of the LORD was made a reproach unto me, and a derision, daily. Then I said, I will not make mention of him, nor speak any more in his name. But [his word] was in mine heart as a burning fire shut up in my bones, and I was weary with forbearing, and I could not stay." Luke 24:32 says, "And they said one to another, Did not our heart burn within us, while he talked with us by the way, and while he opened to us the scriptures?" As I mentioned, some of the blood was carried in to the Incense Altar, and the Psalm also said, "then spake I with my tongue." 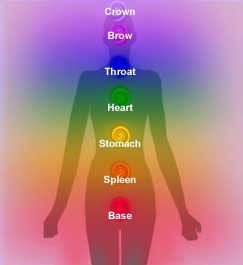 Our throat has an Incense Altar within it, consisting of the tongue and also the larynx, or voicebox, by which we create speech and offer prayers. The throat is also where air enters our body, like the smoke ascending up from the incense altar and over the vail. If our voice sends forth the prayer, and afterwards we pass through the vail into the Sanctum Sanctorum of our head where we stand in waiting for an answer to our prayer, would not the daughter of voice, the Bath-Kol, be that still small voice (see 1 Kings 19:11-13) of God, speaking directly to our mind. Would not the greater Cherubim reaching across the room be the eyes, whose optic nerves, like wings, meet in the middle of the Holy of Holies, and would not the lesser Cherubim upon the Ark, be our ears, whose canals lead inward, covering over and supporting the mercy seat? The Bath-Kol is the Voice of God which issues forth from between the wings of these Cherubim and enters our thoughts as divine inspiration. Perhaps the smoke of our Golden censer, is the temporary closing of our eyes and ears to outside sensory distractions so that we can listen for the Bath-Kol. Perhaps, like the High Priest, we may invoke the True Word (not the Royal Arch Word, but that which it represents), and summon the Shekhinah to appear in our Holy of Holies to give us direction. This direction is not identical to our own thoughts, but is added unto them, mixing with them. Neither is it identical to that wisdom which descended to rest upon Solomon in the Past Master, or Fifth Degree, represented by King Solomon's Crown or the Top Hat of the Master. But before we are to hear the Bath-Kol, we must ensure that the building is Completed, that the Keystone is set into the Principal Arch of the Temple, that the Ark is Safely Seated, and that there is a Fire burning upon the Altar of our Heart. Remember, the Fire upon the Altar of our Heart should be continually burning, and the Incense should be offered both day and night, but the Shekhinah is only manifest when invoked by use of the Great and Sacred Name. So, what do the Keystone and the Principal Arch represent in our bodily Temple? How can we prepare our inner Temple for this event? And, why must this event transpire before we are permitted to travel into foreign countries, or to go into that undiscovered country from whose borne no traveler returns, the privilege finally bestowed upon the craftsmen at the dedication of the Temple? Please divert all comments on this article to the copy posted on the Reames Chapter #28 R.A.M. Website. "Can a non-Christian feel comfortable as a member of the Knights Templar?" Disclaimer: I'm not saying I'm not a Christian, but my beliefs about Jesus are extremely far off the beaten path. Also, I apologize in advance if I have offended or made uncomfortable any Knight Templar by writing this post. So, below I will outline the aspects of the first two Orders: The Illustrious Order of the Red Cross, and The Mediterranean Pass and Order of Malta, that I would flag as religiously "sensitive" and which might even be considered offensive to some people. I believe all of these points need to be considered by non-Christians who are considering joining the Order, (and in my experience, the Sir Knights I have met are more than happy to admit non-Christians if they are willing to defend the Christian faith) and I hope that posting my findings here makes it so others won't find it necessary to go to the extreme that I have by reading the ritual in order to determine whether they would feel comfortable in the Order. I will endeavor to do this without revealing any R.C. or Malta secrets. I haven't examined the Order of the Temple yet in the same way, but I intend to do so soon and will post my findings at that time. The Red Cross is almost fully acceptable from a Non-Christian point of view. It continues the setting and symbols which were already present in Royal Arch Masonry. The only offense I detect is a line contained in the Lecture, which reads, "As Judaism was a preparation for Christianity, so let the Illustrious Order of the Red Cross be a preparation for the Christian Order of the Temple." This line, in my reading of it, diminishes Judaism to a footnote or stepping stone upon which to build something greater. This is not a good thing to say or think, since Judaism is a wide-spread, living religion, even today, and even has many adherants among the Craft. 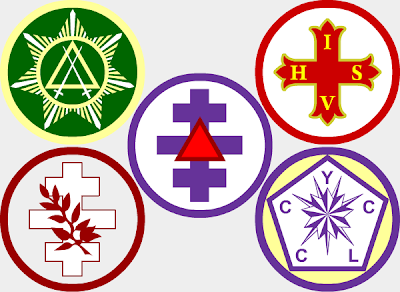 There is one other line that might be slightly offensive to those who self-identify as Pagans, "The Illustrious Order of the Red Cross is not a Pagan rite nor is it a mere social observance. It is an Order founded upon Truth, and is a proper preparation for the solemnities of the Order of the Temple." Several references are made to "fallen man" or man's sinful nature. Prayers are offered to "Immanuel." Several references are made to "Jesus Christ, our Lord"
The candidate is made to take on the identity of St. Paul at least in allegory, for a short period. The New Testament is the only book prescribed to be open on the Altar. 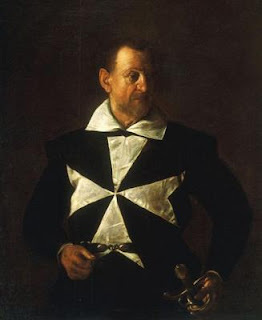 Without going into specifics, the Obligation would require a Knight of Malta to treat another Knight who has been unfaithful to his Knights of Malta Obligation in ways that I would consider contradictory to his prior obligation as a Royal Arch Mason. In other words, there is a possibility that upholding the Malta obligation would cause someone to violate their Royal Arch obligation. Candidate is encouraged to wear a certain Cross continually. Phrases such as "My Lord and My God" and "King of Kings and Lord of Lords" are used in reference to Jesus. The officers repeatedly speak of their belief in the resurrection and ascension of "our Saviour" in reference to Jesus. The candidate is asked, "My brother, is it still your wish to join our Order, and fight against all opposers of the Gospel of our Lord and Saviour Jesus Christ?" There is a very mild form of flaggelation used in order to create empathy with Jesus's own suffering. The candidate is asked, "My Brother, do you believe that the Savior died on the Cross for the remission of sin?" The Prior says, "in the name of our Holy Religion," implying that all present are of the same religion, and that it is "Holy." Instead of doing a follow-up on our EC Royal Arch Meeting, which has already been done elsewhere online, I want to make a follow up post to the comments which were made on my last post on the subject. I am an Oregon Mason and I can say that there is a small but very vocal clique here that is trying to insist that a tuxedo is the minimum required dress for attending lodge. This appears to be their playground. Not only is this impractical and expensive, but I believe it steers away from what our Masonry should be about - meetings of men, not contests to see who can outdo the other in finery. As far as I am concerned, as long as a brother Mason has it in his heart, his fashion choices are his own business. Dear Brother, I am familiar with the "small but very vocal clique" of which you speak. For the record, I'd like to say that I am not part of it. I believe that a man should be able to attend Lodge in whatever clothing he is able to, provided that he tries to present himself in as clean and well dressed a way as is possible. I welcome those who take the time to attend Lodge even after a hard day of work and are unable to take the time to travel home, change, and return before Lodge begins. To me it is more important that they appear at Lodge than that they tend to such minor details. 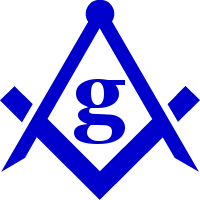 I believe, however, that the Worshipful Master of a Lodge should have the ability to specify what he expects out of his group of officers, particularly the Wardens, and that they should do what they can to comply with the Master's plan for the year. 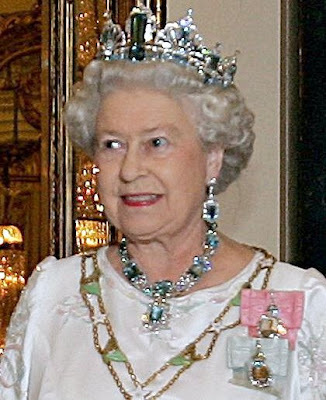 I will step up and say that I, personally, am the primary instigator of this European Concept Royal Arch endeavor which we are trying to establish in Roseburg. Without my zeal and personal efforts in planning, the prospect of having Royal Arch Masonry in Roseburg would not, at this time, be anywhere on the radar. There have been attempts to revive it in the past, which have thus far failed. I was not involved in those attempts, as I was not a member of York Rite at the time they were made. Most (but not all) of the people involved in this endeavor were likewise not involved in the previous attempt. What we are working on is a very specific undertaking and is not intended to reflect any policy recommendation on how Masonry as a whole, or in general, works in this area or throughout the state. Many of the ideas actually came from a Brother Master Mason, who is looking forward to joining the Chapter in the near future, and expressed his ideas to me. 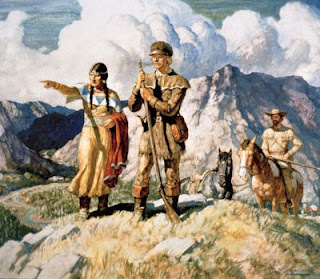 I agreed with his ideas, and brought them before the Companions that I have been working with, and we eventually found that the principles of Norwood Chapter in Alberta very nearly corresponded to what we had in mind, so we decided to follow their example. At the first planning meeting we had, I am happy to report that ten of us made a successful effort in meeting the proposed dress code, and that the nominated Excellent High Priest (Larry Stokes, who was nominated that evening) has since expressed to me his satisfaction in the dress code and th compliance these Companions have made to it. I will also say that there were some, perhaps three Companions, in attendance at our May planning meeting who would not have been present at all if our goal was not E.C. They are participating in this because the E.C. is motivational, and they aren't seeking Dual Membership just to have Dual Membership. They want Dual Membership so that they can participate in both an E.C. Chapter and their existing Chapter. We are a fairly diverse group of Masons, some young, some old, and have come together for the purpose of eventually working the degrees of Capitular Masonry which we love, according to these European Concept principles, which we find personally inspiring. We have in this endeavor Companions from Salem, Eugene, Roseburg, Grants Pass, and Medford, and we do not therefore represent any clique, particularly not any previously existing clique with an agenda. This is a new and young endeavor which we are looking forward to. Those who are complaining here online have simply not come forward and expressed any interest in Royal Arch in Roseburg, and apparently did not respond to the invitation that was sent out on the Oregon York Rite E-Mail Newsletter. Why would we undercut our own ideas in order to accommodate those who won't even take the time to come and participate with us, or talk with us? We WANT to do something different. We want to have an interesting program, and make it into a more interesting organization. We believe that this will not only help our own enjoyment, but help the organization to be attractive to others so that it will grow. Many Masonic organizations around the state and around the country are failing in their membership goals. Yes, failing. Our numbers are steadily declining. In Grants Pass York Rite bodies we have had more members pass away, or dropped for NPD than we have had new Exaltations. Maintaining the status quo, and not doing anything different, is going to solve the problem! Those who are refusing to support any change whatsoever are putting a death sentence on the Fraternity. We need change. Now, not all change is good. Some changes will help, and others will not. But those who have the guts to try to effect change are at least trying to do something! 1. We are not an existing clique who has made this Royal Arch endeavor into our "playground." Please, don't confuse us with anyone else. We are our own group. 2. I am worried that the comments received on the previous post about E.C. Royal Arch reflect a trend in Masonry where a Lodge, Chapter, or other body is not allowed to have unique "character." Why do some feel the need to enforce in Masonry an attitude of maintaining the lower-common-denominator rather than building upon the interests of the brethren? Should not a local organization be able to have its own style, its own agenda, its own goals? The Path, by Jeff Day. Three ears wane in the old fountain, where twenty fish to feed. 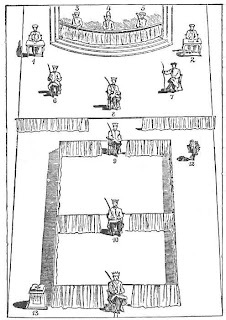 A quail to quell the sounding bell, high in the upper plane. of a young lad beckoning to free the restless tree. Ages have expired since it last did take a breath. Twelve holy fruits it bore, and twelve leaves formed its dress. "My mother and my father both have eaten from this tree. Why then dost thou fear it; why keepest it from me?" "but those who've followed after us have not held it esteemed." Beasts of pain bearing angel-bane walk on the fire scorched path. They fight the light in brilliant might, with condemnation, wrath. to sow the ancient seed so that these fruits may forward go. Pluck from off the tender lofty branch a glist'ning pod! So sweet, so dear, partake, young man, and make of thee a God." and one eternal fate I'd choose. Eleven shall I waste?" Ten vultures loom o'er certain doom, as permeates the ring. Below, five row against the flow while others work in vain. for twelve were needed, twelve were found. One round completed. I'm glad Masons aren't Bigots. I've been having a stressful day. I've been ill for a couple days, but on top of that, I feel like my last post got tarred and feathered, not by any of my Masonic brethren, but by some anonymous drive-by bigot. Well, at least he did the tarring. The feathers came first with a well meaning Mormon chap whom may turn out to be a friend once I get to know him. The thing that is sad to me is that when this kind of thing happens, my regular readers, whose opinions I actually want to hear, probably get turned off by it, and don't want to jump into the line of fire. I don't blame you. I would almost revoke the post or delete the comments if that sort of thing weren't against my personal blogging principles. Masonry is personal, deep, and can be religious (although it is not a religion), and to each brother unique and profound meanings may be discovered. While the Lodge isn't generally the place to promote these discoveries, there is benefit in sharing them in a forum such as online, when appropriate, as long as we aren't trying to say our idea is the only correct one. I believe I see what my Christian brothers find in the fraternity, and I would love to hear details about what Jewish, Buddhist, Muslim, Native American, and various types of Pagan brethren find in it. It is a joy to me to see a brother taking the symbols and applying them, and finding greater depth. Moreover, many of the ideas any brother finds may apply, perhaps with some minor adjustments, to my own belief system as well. Among our Brethren, generally, we have a good respect for one another. I know I feel loved and accepted among my brethren in spite of my odd beliefs. Not all of them know exactly how odd they are, but those that have had discussions with me and do know some of my ideas still treat me with dignity, and never make belittling remarks. Well, usually. There can be a joke now and then, but such is made in good fun, and not meant as an attack, and I don't take it as such. Why do these anonymous buggers have to come and ruin my day by thrashing on Mormonism and post links to anti-Mormon propaganda when I am clearly not their target? I don't even agree with such basic things as Mormon theology or scriptural canon. You're attacking the wrong guy, you anonymous a$$#@!%s -- but alas, that's not the point! WHY are you attacking anyone? It's rude. It isn't righteous. It makes you look like fools, and it couldn't possibly be helping any religious agenda of your own. You are just trying to pick a fight and be a nuisance. Well, guess what: If that's all your agenda is about then you don't matter at all. You're small, like an ant. I can squish you with my mental power alone. Brethren, thank you for being with me as I rant. This upcoming Tuesday, the 27th of May, 2008, will be a historic day for Freemasonry in Oregon and possible the United States. (Well, maybe I'm being a little too hopeful.) A group of Royal Arch Masons will be gathering in Roseburg, Oregon for the purpose of forming a European Concept Royal Arch Chapter, to be named Meridian Chapter. The business of the evening will include an explanation of the Concept, the conducting of an interest survey the answers of which will be passed along to the proposed High Priest once nominated, the actual nomination of the three Principal Officers for the Chapter, and the signing of a petition to request dispensation from The Grand Chapter of Royal Arch Masons of Oregon to form our Chapter. There will also be a musical performance and a lecture on Officialism and the Festive Board drawn from the writings of Dr. Albert Gallatin Mackey. Here are the principles that are going to be used as the "filter" to find Companions suitable for this endeavor. Any who aren't willing to uphold these principles will not be considered for this particular project. Arts and Education - The creativity and productivity of each member in the liberal arts and sciences should be earnestly cultivated. Masonic education should be part of every function. If there is not an original presentation available for a particular event, a reading may be taken from the vast array of literature pertaining to Royal Arch Masonry or Freemasonry in general. Ritual Excellence - In the performance of ritual, nothing short of excellence will be acceptable. The work should not only be memorized, but also be artfully delivered by those performing it. This will take a while to achieve, but sufficient time will be dedicated to work towards the accomplishment of this goal until it is achieved. Members will need to demonstrate their proficiency in the ritual work, and candidates will need to demonstrate their proficiency in the lecture and obligation of each degree before proceeding to the next. The Festive Board - At every event there should be just as much emphasis placed on the festive board as there is on the business, ritual, and education of our companions. Whether it is a potluck, a banquet, or a visit to a local restaurant, the Festive Board will be conducted with dignity, and members will be expected to attend and participate in the good food and fellowship. Masonic Relevance - We must ensure that all Chapter functions are relevant to Masonry. There will be no fund raisers except those which provide some legitimate and valuable form of Masonic advancement. Every effort should be directed toward helping individual members improve themselves in Masonry. Elegance of Dress - Our clothing is an outward symbol and reminder of our devotion to the highest standards of Masonic excellence, and the same amount of care and dignity should be given for our dress in Chapter as for a wedding, funeral, or other significant life event. The red chapter blazer will only be permitted to be worn by visiting District Deputies, Grand Officers, and Past Grand Officers. Everyone else (except current candidates or special guests) will be expected to wear a tuxedo, with a black jacket, red tie, and red vest or red cummerbund. The Sentinel will enforce this dress code under direction of the Excellent High Priest. New members should be directed prior to Exaltation or Affiliation as to where they may obtain these items for a modest price. This standard of dress should be maintained at all Meridian Chapter functions unless otherwise specified by the High Priest. Ambiance and Initiatic Focus - Ambiance helps open the heart and soul to receive what Masonry has to offer. Just as our dress should be elegant, our meeting locations should also be as pleasant as possible. We may not always have the best locations, but we should do what we can to make them comfortable and enjoyable. Freedom from unnecessary noise and interruption, the provision of music during refreshment, and appropriate candle-light (if permitted by the venue), are examples of good ambiance. Selectivity and Exclusivity - A European Concept body is a big commitment, and isn't suitable for everyone. We are dedicated to bringing in only those who are amicable towards these principles, and we will cheerfully recommend anyone wishing to become a Royal Arch Mason to a neighboring Chapter if they are not interested in meeting our strict requirements. We are trying to provide a unique, focused experience for those who are interested in it, and at the same time, project a positive image for both Royal Arch Masonry and Freemasonry in general. We are not desperate for membership, and never will be. If there aren't at least 12 Royal Arch Masons committed to these principles, then this Chapter should not exist. Once constituted, we must guard the west gate of this very unique Chapter so that these principles do not get subverted. We are trying to complement the existing programs, not compete with them, and to show this, many of our members will remain active in their existing Chapters. I'm looking forward to hearing input from my online Brethren about this, and I will be posting a follow up to tell how the meeting went. 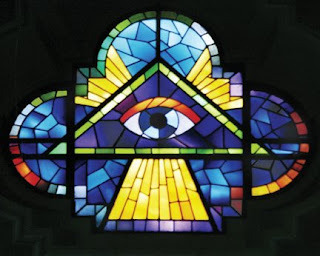 Reading the recent post at Audi, Vide, Tace has raised some interesting questions in my mind concerning how Masonic law applies to people who hold Dual Membership between Grand Lodge jurisdictions. In the post, a Mason from Kentucky holding dual membership in a New York Lodge was charged with visiting a clandestine body when he attended a PHA meeting in Iraq. In my state it is a violation of Masonic law to intentionally deviate from the ritual adopted by the Grand Lodge. If I held dual membership between states, I would likely be a member of a Lodge under a Grand Lodge whose rules also include some similar stipulation. If I were then assisting in opening, closing, or degree conferral at my "new Lodge" I would undoubtedly be deviating from the ritual as specified by my home GL, in order to accommodate the ritual put out by the second GL. The most conservative interpretation of the law, where I would not be in violation of either rule would require me to abstain from all ritual entirely. Obviously, this would not be acceptable. The real answer is that when in the jurisdiction of a Grand Lodge, do the ritual as that Grand Lodge does. It is so obvious what the correct interpretation is in the case of ritual, why is visitation any different? In my Masonic obligations I promised (I paraphrase, here) to uphold the laws and rules of the Lodge of which I am a member, and also to support the constitution and edicts of the Grand Lodge under whose jurisdiction I reside, so far as they come to my knowledge. This is a curious situation indeed. It means that I am to uphold the laws of my Lodge (or Lodges? It's left ambiguous in the case of plural membership), but more explicitly, that I am to support the constitution--not of the Grand Lodge from whom my Lodge received its charter--but rather, the one under whose jurisdiction I reside. This would seem to imply that as I move from place to place, I am obligated to the rules of the (regular) Grand Lodge in that area, and explicitly not to the rules of any other Grand Lodge -- unless the laws of the Lodge of which I am a member require me to do so. I am aware that in other jurisdictions the obligation has a slightly different connotation in relation to which Grand Lodge is given allegiance. Moving to a different imaginary example, what if Speculative Lodge #1 was in an area that didn't recognize PHA, and John Q. Mason, who was raised in Speculative Lodge #1, received dual membership in Example Lodge #2 which made him an officer, and Example Lodge #2 had an annual visitation, mandatory for officers, to their "sister Lodge", PHA Lodge #3. Would John Q. Mason be neglecting his duties as an officer of Example Lodge #2 if he did not attend PHA Lodge #3 with his brethren? Further, what if he received a summons to appear at PHA Lodge #3? "In Ancient times no Master could be absent from the lodge, especially when warned to appear at it, without incurring a severe censure." I think it is most important, that when we are put in a situation where we may pass judgment on another brother, that we do not wrong him out of the value of his Masonic membership by making harsh judgments. The American York Rite has, in fact, more than one degree where the legend involves this very lesson of not being too hasty or quick to judge, which we would do well to take to heart. As many of you may know, I run KingSolomonsLodge.org. In order to help support the site, I have advertising on the site in the form of Google AdSense. Usually these advertisements are for things such as Masonic regalia, jewelry, or books, and many of them are actually helpful to visitors since they are on-topic. Today I went online to see what articles were listed, and I was confronted with a political advertisement for a presidential candidate. This was not an innocuous three line text ad, either, but a full block animated graphical advertisement. It doesn't matter to me which candidate or party, but rather the fact that a political advertisement is being propagated onto the website at all, when I view our brotherhood as a great place of unity between members of various political parties and religions. I am distressed, and I don't know what to do. Part of me says it is free speech, and if they pay for an ad, they should be able to show it there. Part of me says its a conflict of interest, or it may drive away certain visitors. It probably won't be there forever. Must I resort to turning off advertisements during election years? On the other hand, maybe my Brethren have enough understanding and tolerance to "put up with" the ad, even if it doesn't suit their fancy. I seek advice, my Brethren. If you were in this situation, what would you do?